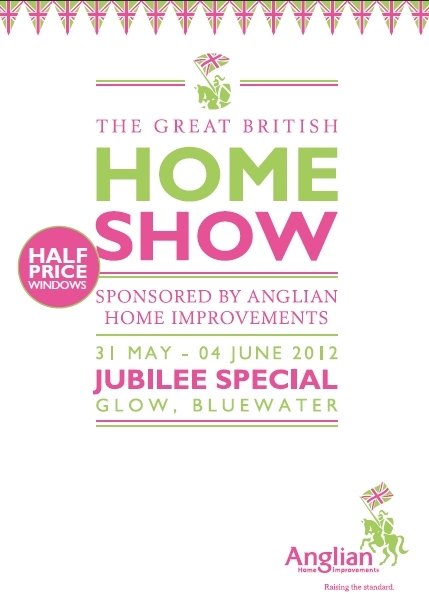 Home - Great Home Show, Great Britain! Great Home Show, Great Britain! I was looking at a book entitled “Good Bones, Great Pieces” by Suzanne McGrath with her daughter Lauren the other day. It offered advise to the reader on how to decorate your rooms so they always look fresh and inspiring. The style and ambiance of the rooms can be achieved with a number of key pieces of furniture. These classic pieces and can be moved from room to room and used and loved for a lifetime. With this season’s shows all straining at the leash to get started, I’d recommend having a look at The Great British Home Show from the 31 May – 4 June at Glow, Bluewater in Kent. The exhibition is on for five days, and will show-case up-to-date styles and ranges to suit all homes and budgets. The event will coincide with the Jubilee bank holiday weekend when it is hoped that people will be in the mood to refresh their homes after all the bad weather we have been experiencing recently. The show is all under one roof and will give the visitor the opportunity to look for that special piece of furniture that will fit into their life. As Suzanne suggests in her book, if you are looking for some new furniture, always try to choose something that you have a good feeling about and that you will be happy to have as one of your key pieces to keep for a life time. Choosing the right furniture shows your style and personality and will be a pleasure to live with. Whether it’s a piece of furniture that has been handed down by your family or a special find at an auction or shop, you’ll never tire of the right piece. Some pieces catch your eye and even when you have decided they are too expensive, they sometimes niggle at the back of your brain until you have negotiated with yourself over the price and can justify why you want to buy it…………of course it will look good in your home!